The ex-football superstar was announced the winner on Thursday of Liberia’s presidential run-off. He defeated Vice President Joseph Boakai in the first democratic transfer of power in decades following two devastating civil wars. The former Chelsea player is set to replace incumbent Ellen Johnson Sirleaf, who took over at the helm of Africa’s oldest republic in 2006. The Liberian National Election Commission, NEC, announced that Weah had won an insurmountable 61.5 percent of Tuesday’s vote, which was delayed several weeks after a legal challenge from Boakai. The NEC said that with 98.1 percent of all votes counted, Boakai had only secured 38.5 percent support. NEC President Jerome Korkoya told reporters that definitive results would be released Friday. 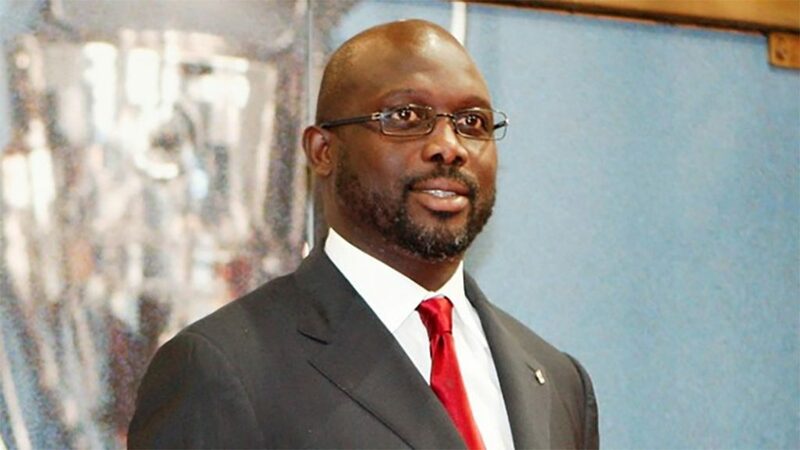 “The Liberian people clearly made their choice… and all together we are very confident in the result of the electoral process,” tweeted Weah before the official results were announced.